In the commune of Saschiz income from sales of timber is an important contribution. 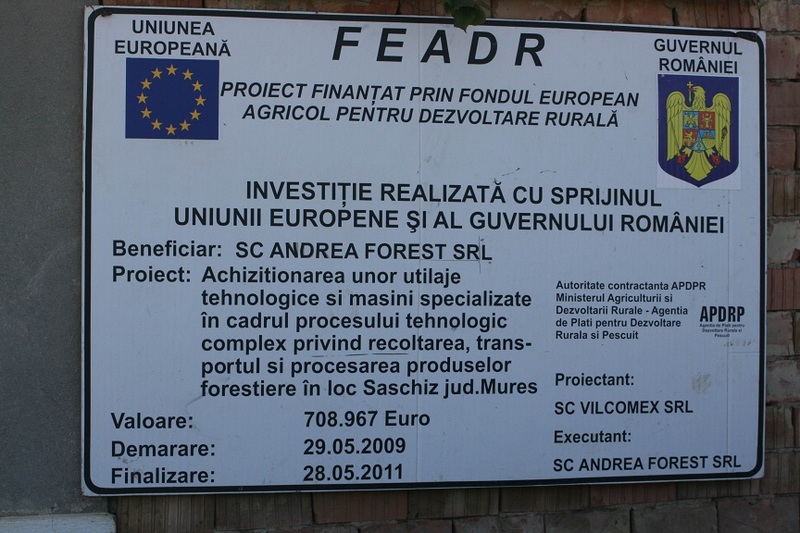 In 2009 several owners saw an opportunity for local processing of timber and thanks to EAFRD co-financing they managed to develop this project. Romania has significant amounts of its territory covered by forests, formerly state owned. At present, new owners need to sell timber to solve short-term financial problems. Adding value to timber by processing it and by improved marketing is a very effective means of reversing negative incentives, to bring in better income to forest-owning communities, encourage a longer term approach with conservation management of forests, and reduce rural poverty by creating employment opportunities. The chief objective of the project was the acquisition of specialised machinery for harvesting, transporting and processing timber in Saschiz. 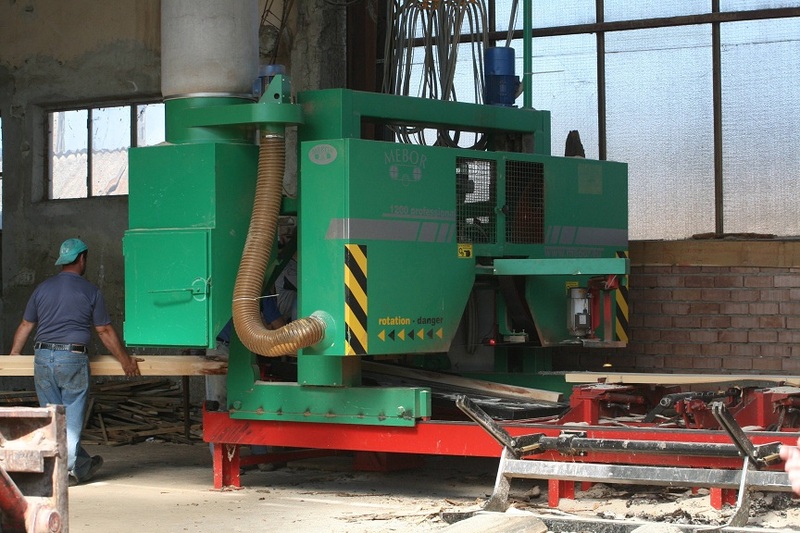 Moving into more sustainable forestry methods became a secondary objective as high-technology modern equipment has lower impact on the forests, in the harvesting process, and is able to make maximum use of the timber extracted, producing high-quality sawn timber for export, with minimum wastage. 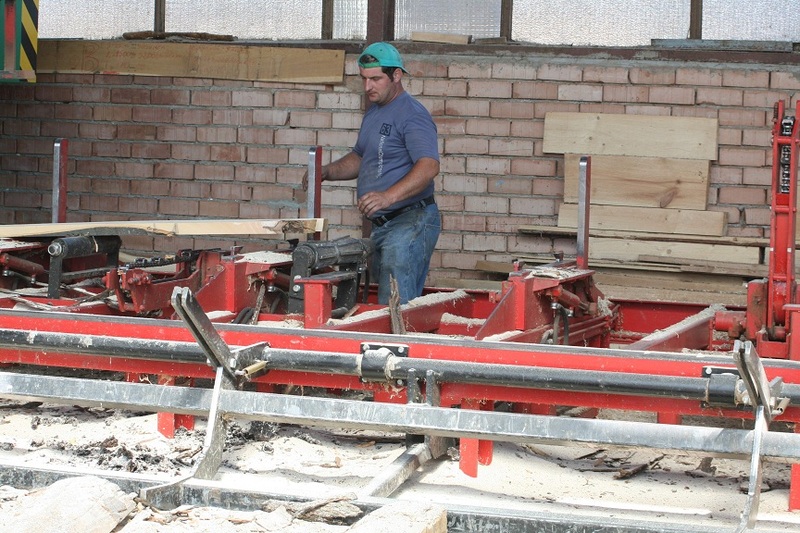 The main activities were: i) extraction of timber from a 5,000 ha forest area, carried out sustainably, assisted by modern and efficient equipment purchased under the project; ii) timber drying and processing; iii) extracted timber, especially oak, was made into planks; hornbeam was mainly processed into cut and prepared firewood for export (EU) markets; iv) firewood and charcoal were made from waste material and exported. 15-20,000 m3 of timber was processed annually and 25 local full-time jobs were created, mainly for young people in their 20s and 30s: there is a shortage of work places for young people in the area, especially for those who wish to diversify from agriculture. Sustainability has been promoted and enhanced as local people (and not outside contractors, as would be the case without this project) extract the timber: people who have a long-term interest in the forests of Saschiz. Support from the EAFRD was a unique funding source for purchasing efficient equipment. The co-financing of the equipment created a viable small enterprise, in a poor area with high youth unemployment and provided good practice in the area. The responsible approach to sustainable forest management, generating higher income for the local authority, from sales of timber to the company, has demonstrated a willingness to invest in the community.